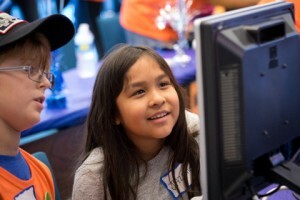 Your support will help a student or member of your community across the digital divide. With your help, students, their families, and others in the community can achieve a simple, yet often denied necessity: a personal, home computer of their own. 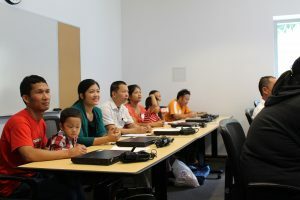 Your support is crucial in helping every student and community member gain the technology tools and training they need to bridge the digital divide. Every gift brings us one step closer to bridging the digital divide. Give your old computer new life by donating it to Kramden. The computers we refurbish are awarded to students and adults across North Carolina that lack access to a home computer. All items that we cannot use in our program are properly recycled. We accept desktops, laptops, keyboards, mice, LCD monitors regardless of age or condition as well as a number of other items. Amazon donates 0.5% of eligible purchases to their customer’s designated charities. By connecting your account, you can choose Kramden as your AmazonSmile charitable organization of choice. Register your Kroger card, select Kramden as your charity of choice, and Kroger will donate a portion of every purchase you make to Kramden. Send a check made out to “Kramden Institute” to 4915 Prospectus Drive, Suite J Durham, NC 27713. Many companies have a donation matching program to encourage employee contributions to charitable organizations. Most match dollar for dollar and some even make donations for employee volunteer hours.